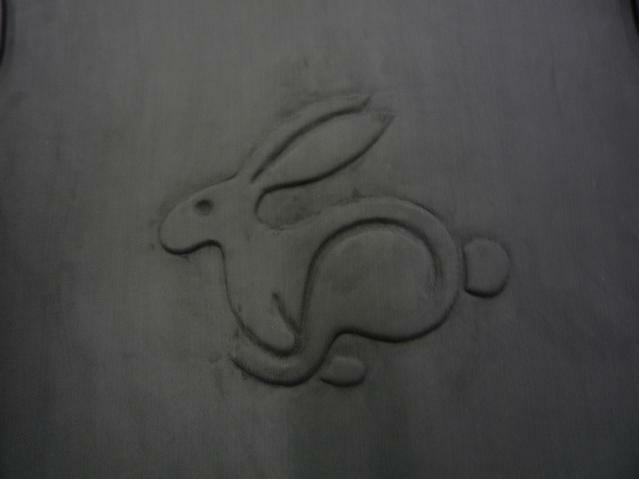 We are always adding pictures as jobs are finished. Please check back often for our latest work. 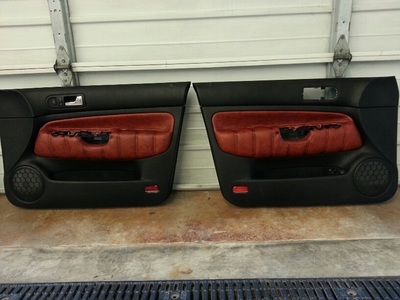 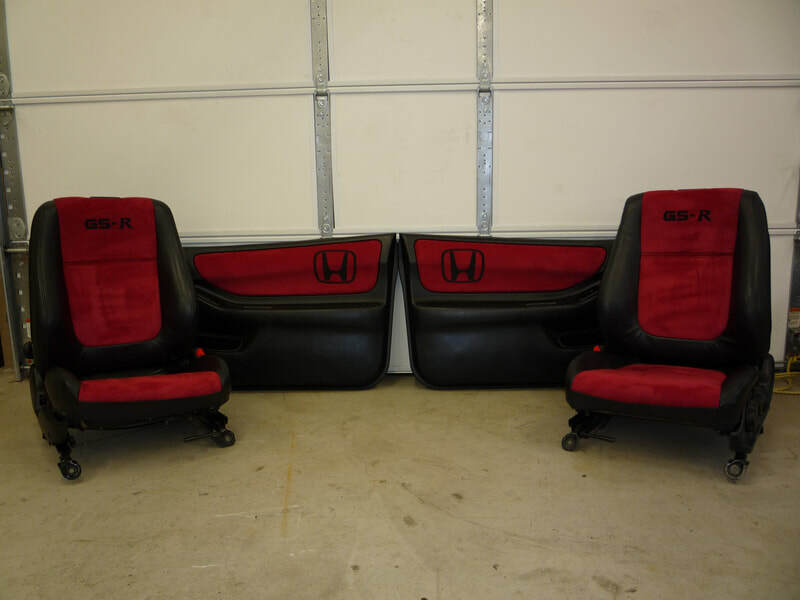 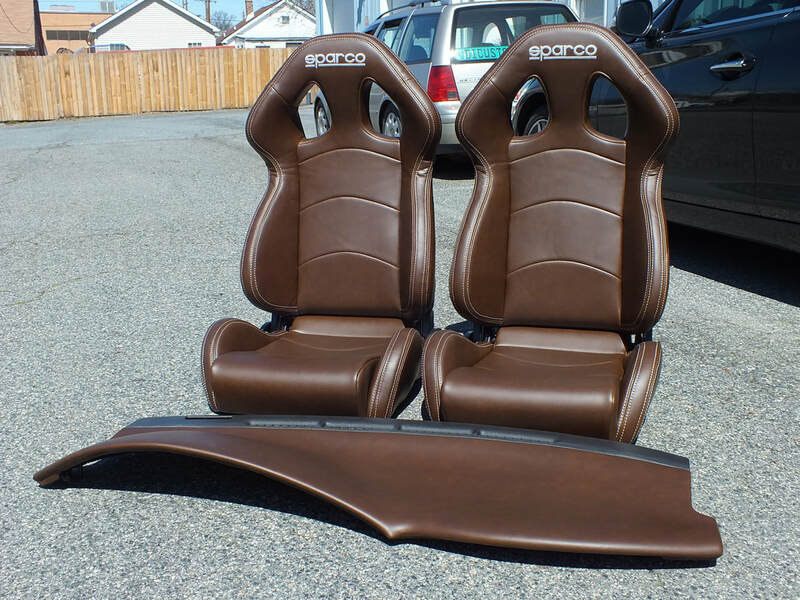 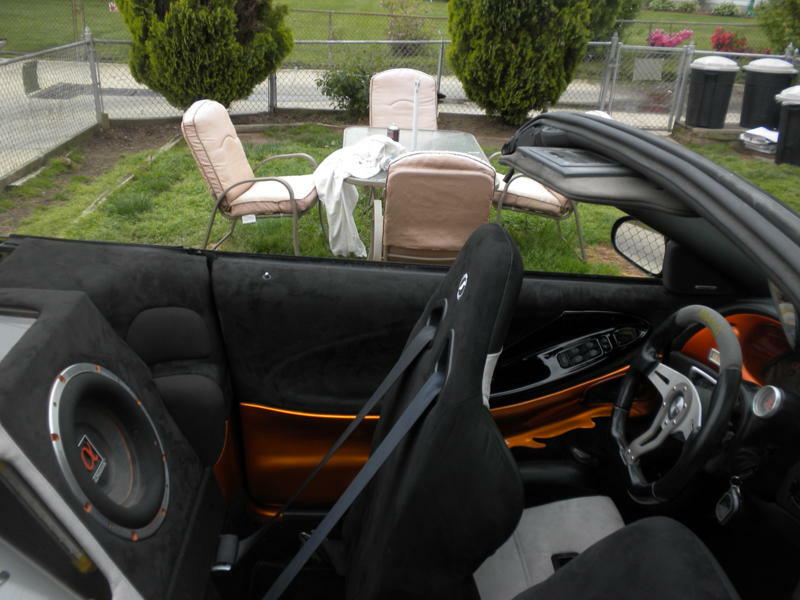 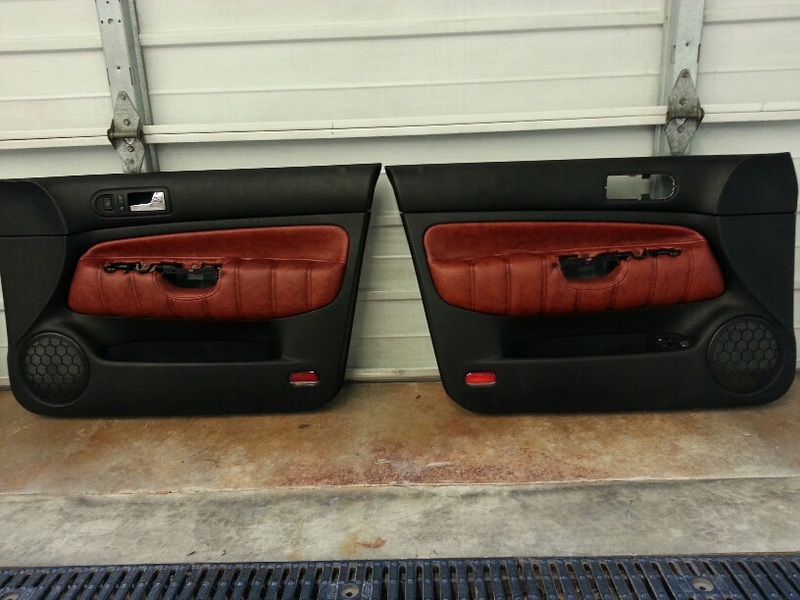 Sparco Racing Seats and Dash Wrap for a Saturn. VW MK6 GTI Recaro A8 and Nardi Wheel. 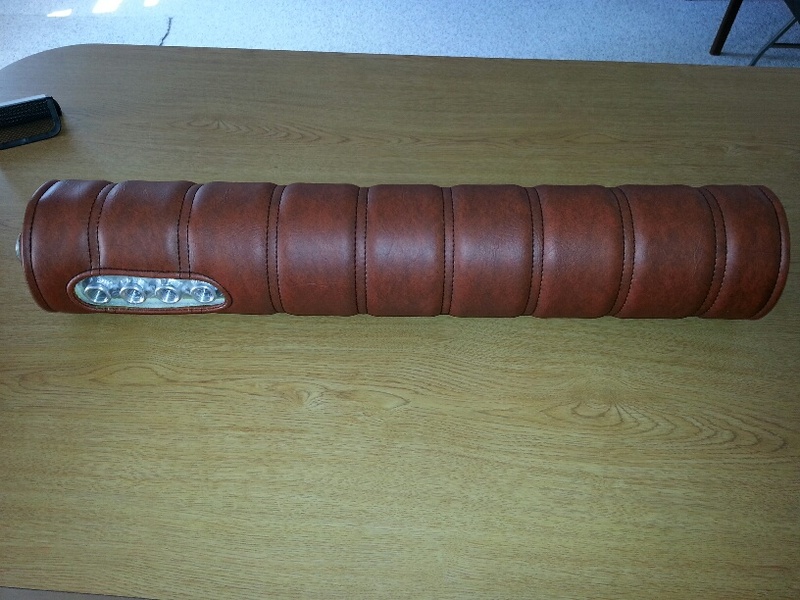 Wrapped in brown vinyl. 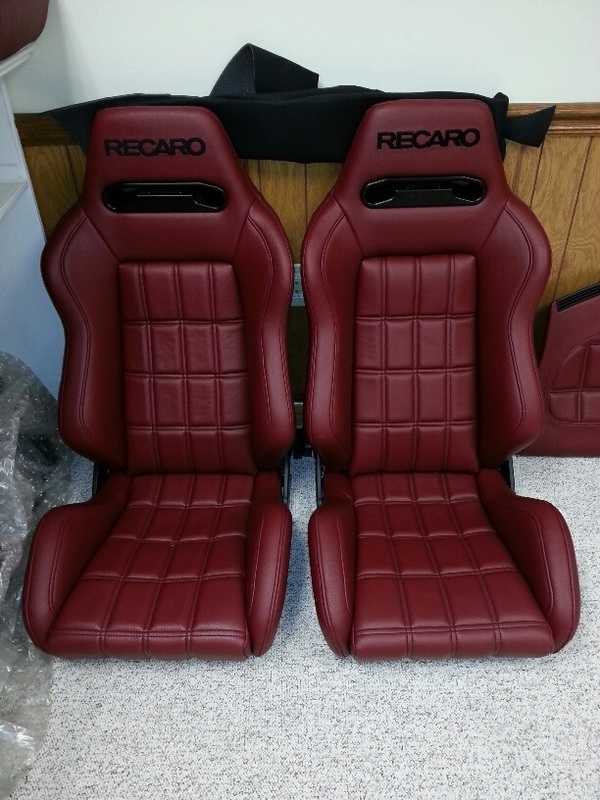 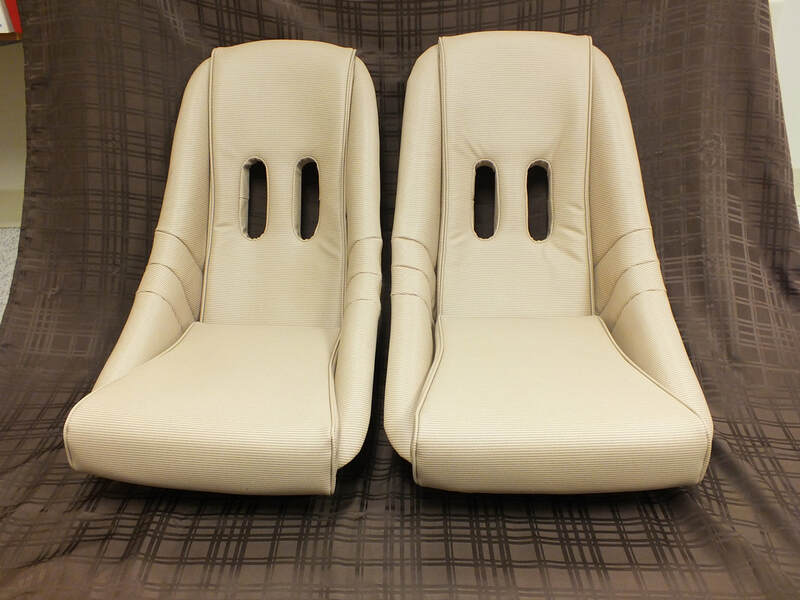 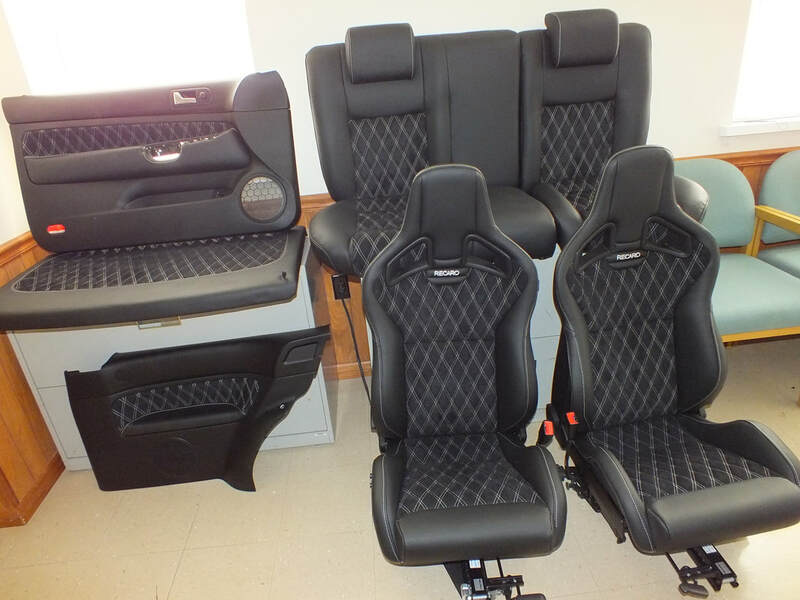 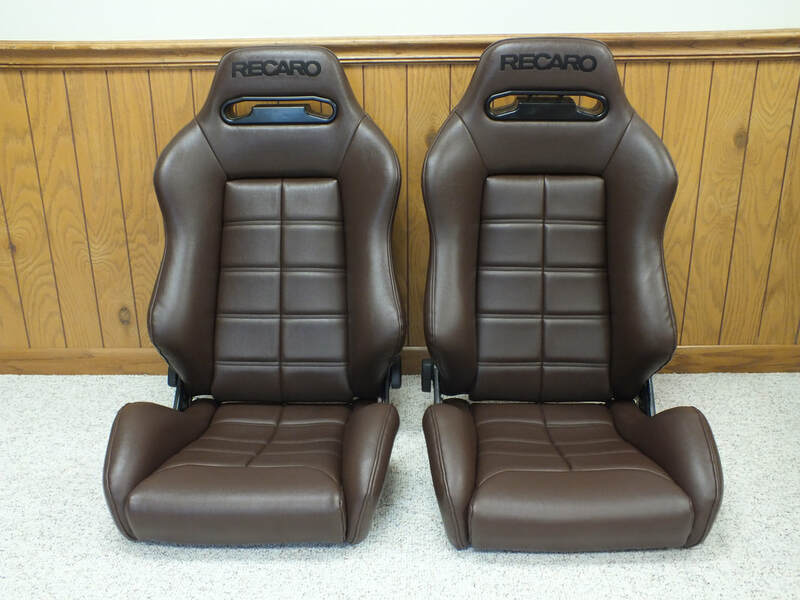 VW MK4 OEM GLI Recaro Seats Modded To Look Like Euro Recaro. 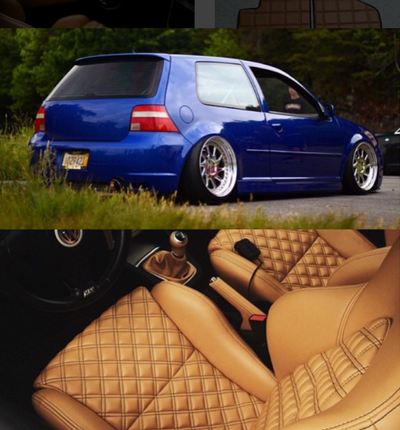 MK4 Golf with GLI Recaros. 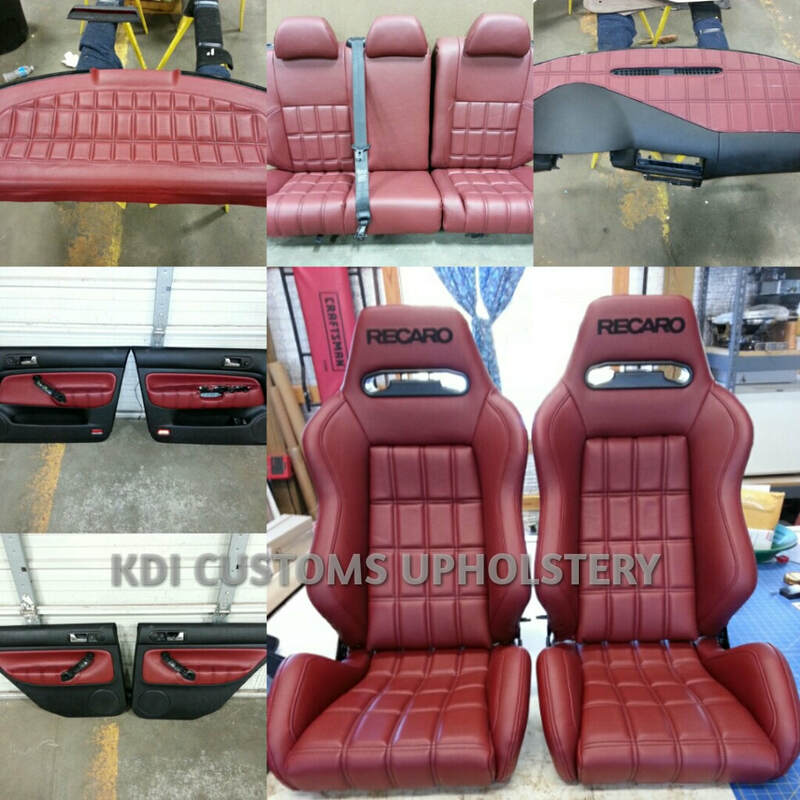 Saffron Vinyl with Black Double Stitched Squares and Recaro Embroidery. 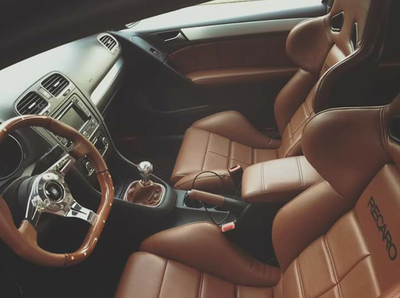 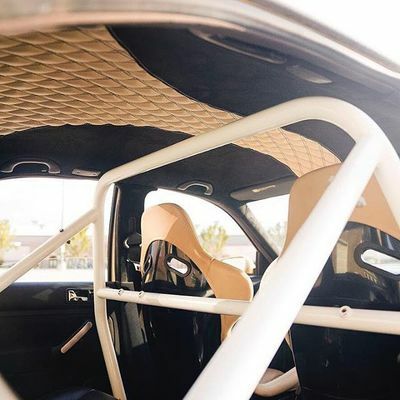 Clay McFarren R32 interior. Pics by Meaty Flush. 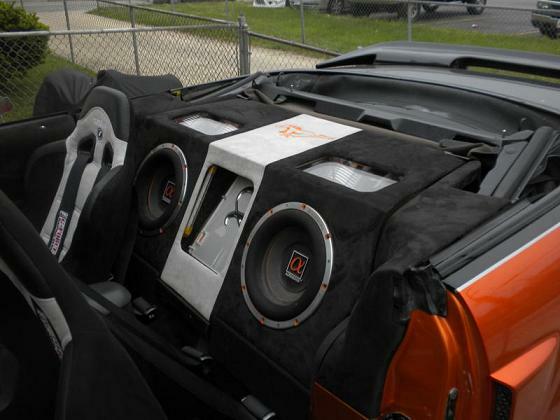 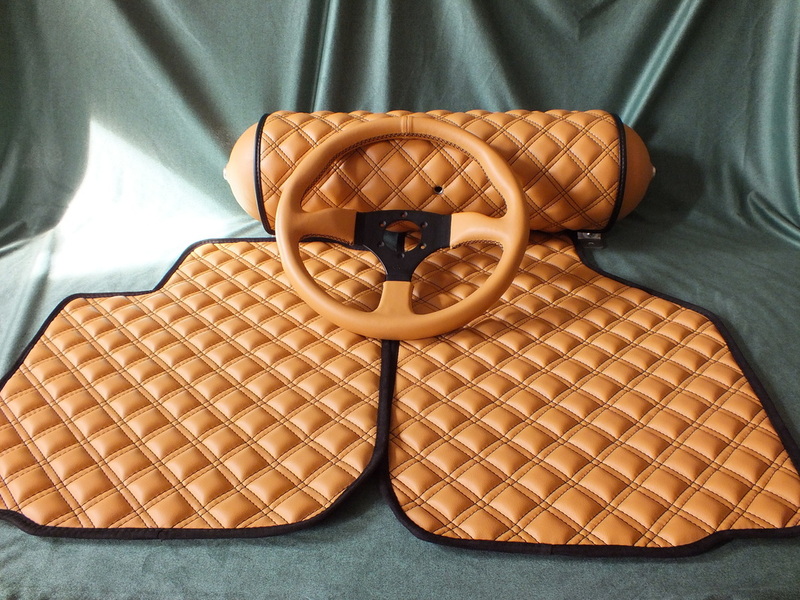 Custom Wrapped Air Tank, Steering Wheel, and Floor Mats. 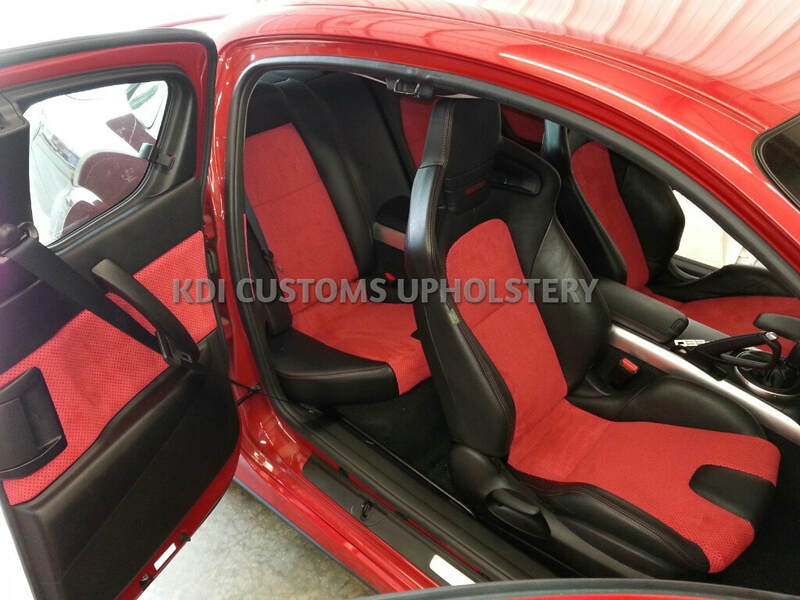 MK4 Jetta with R32 Seats in Indian Red Vinyl and Black Vinyl. 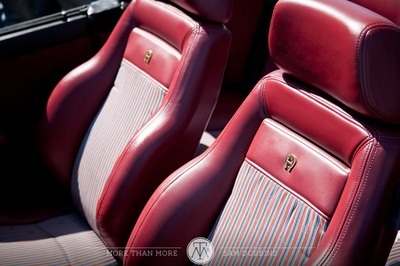 Custom Double Stitch Pleats. 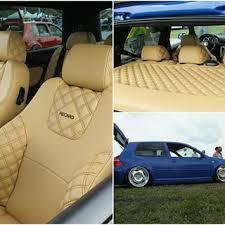 MK4 Rear Deck. Black Vinyl and Indian Red Vinyl with Custom Rectangle Double Stitch. 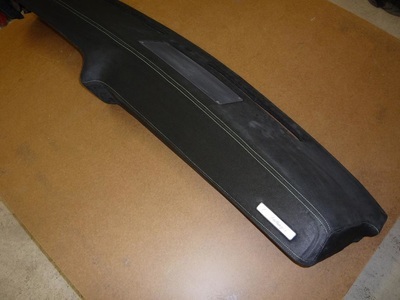 Air Tank. Custom Double Stitched Pleats in Indian Red Vinyl. MK4 Jetta Rear Door Inserts. Indian Red Vinyl with Double Stitched Pleats. 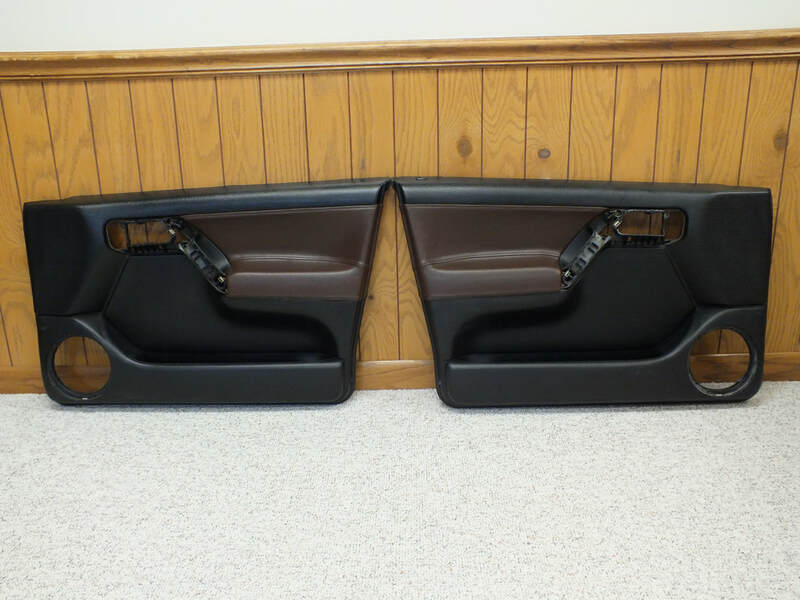 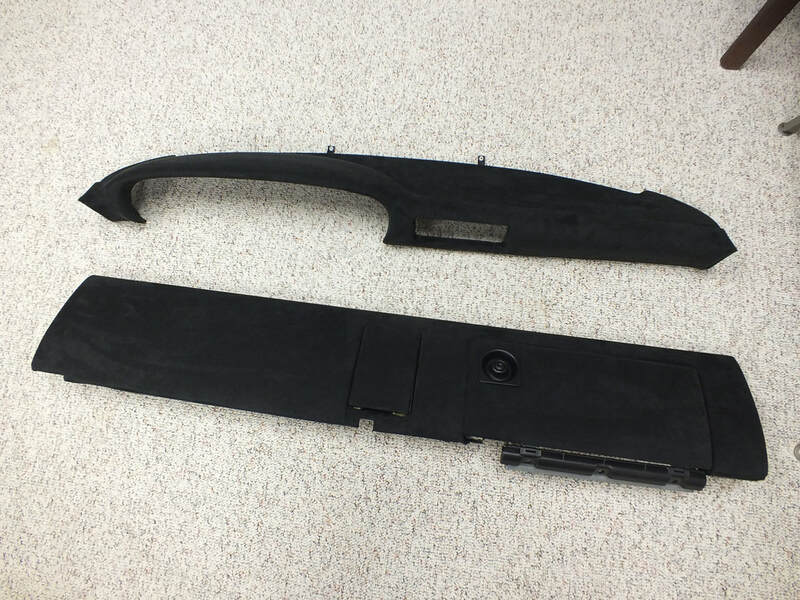 MK4 Jetta Front Door Inserts. 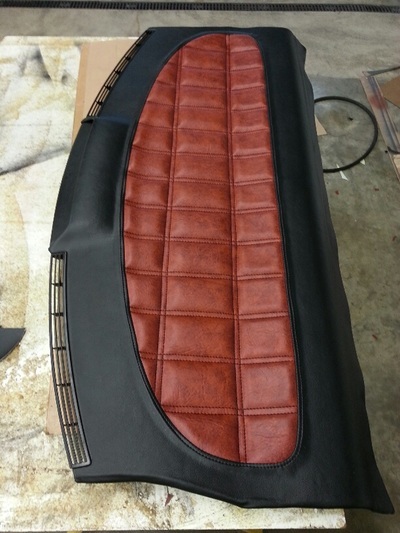 Indian Red Vinyl with Double Stitched Pleats. 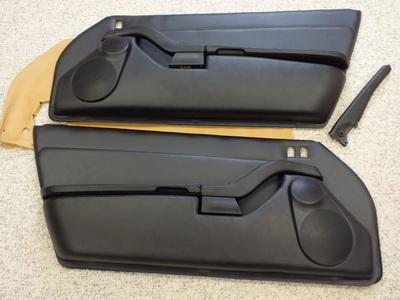 Passenger Door Insert is European RHD. 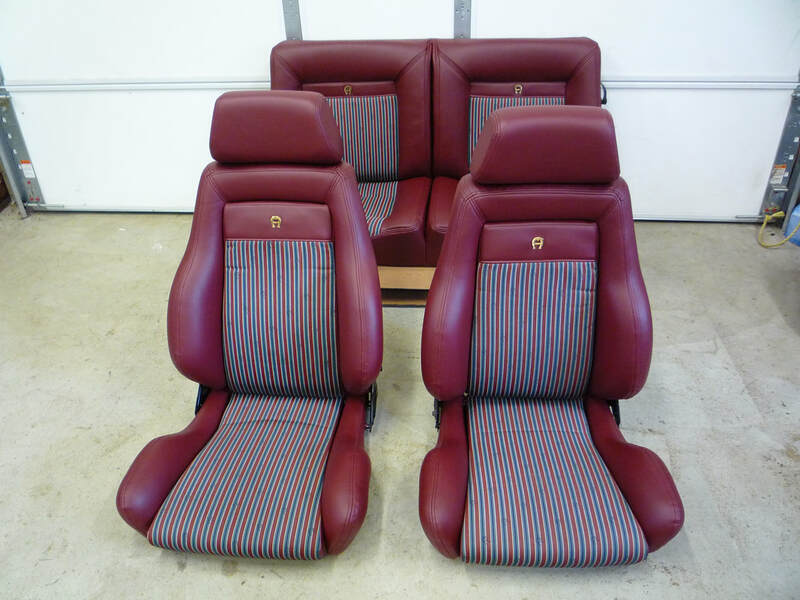 VW Cabriolet with Recaros Custom Covered to Replicate Original Etienne Aigner Interior. 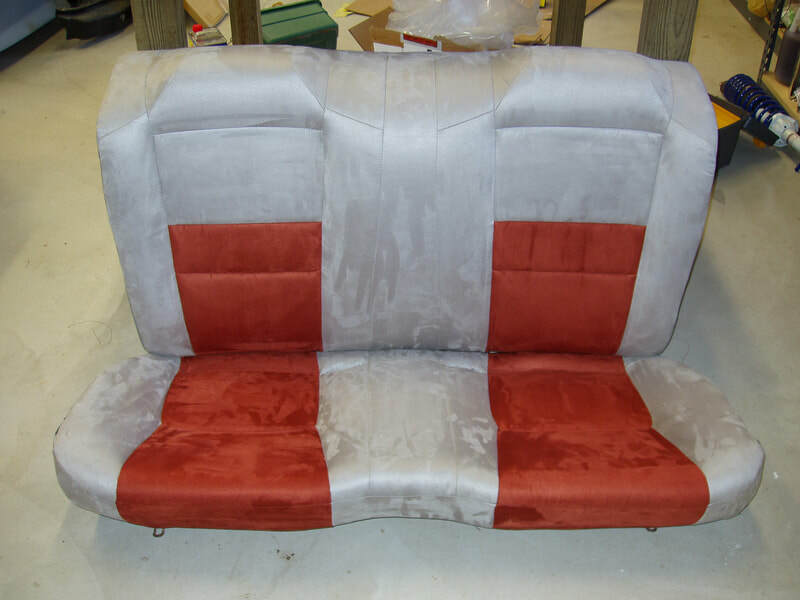 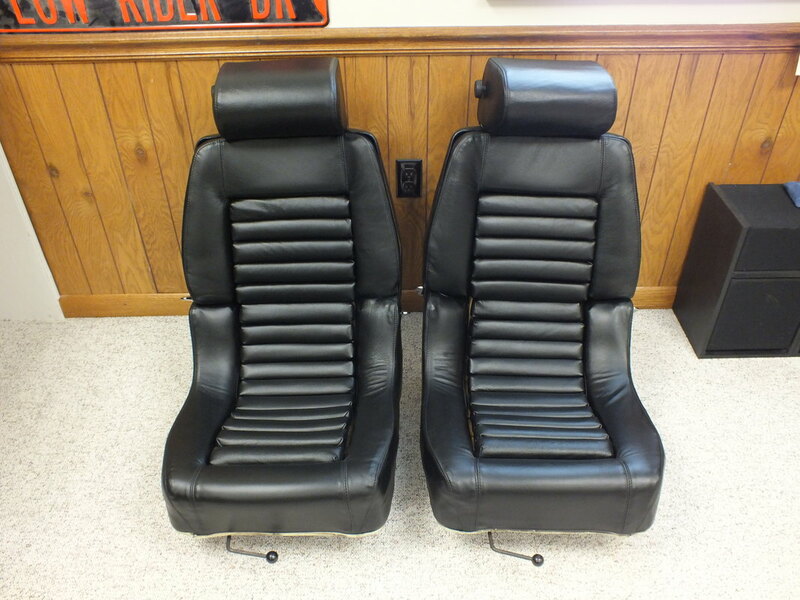 Original EA Inserts Fitted to Seats and Maroon Vinyl. 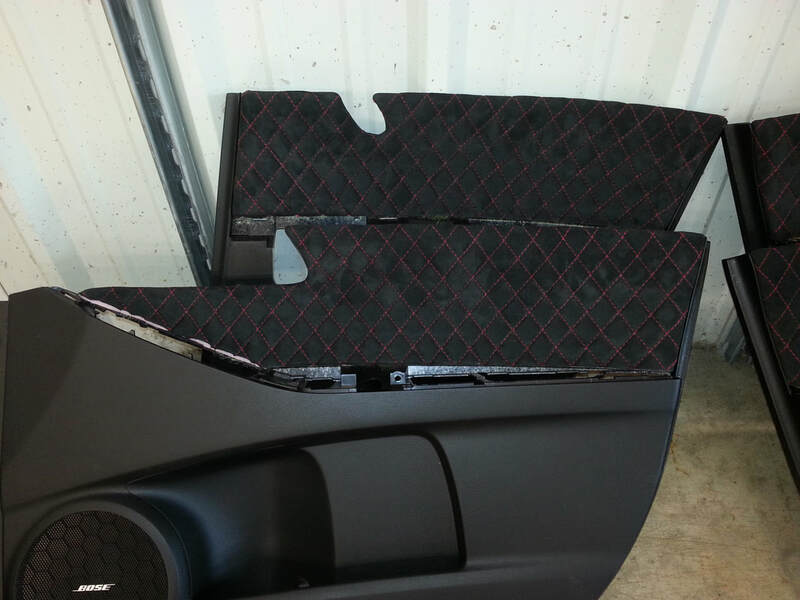 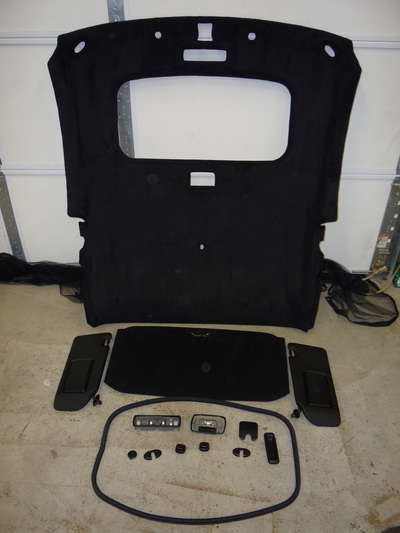 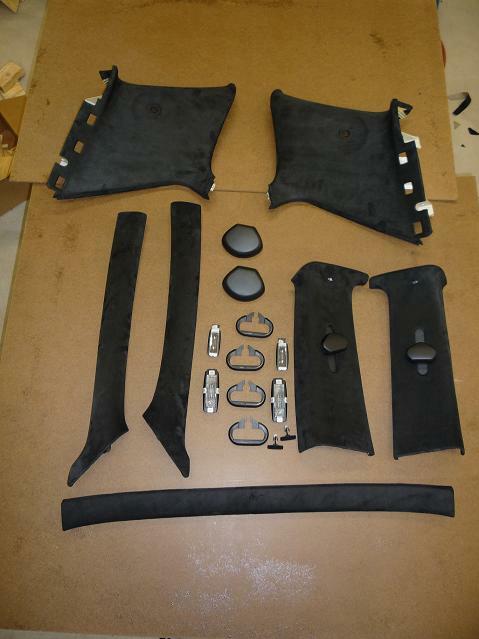 MK4 GTI Black Suede Headliner Pieces. 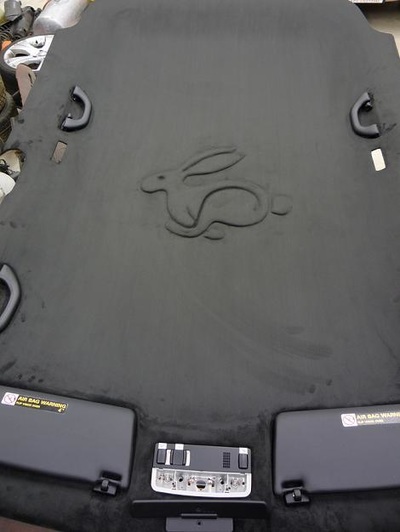 MK4 Headliner with Retro Rabbit 3D in Black Suede. 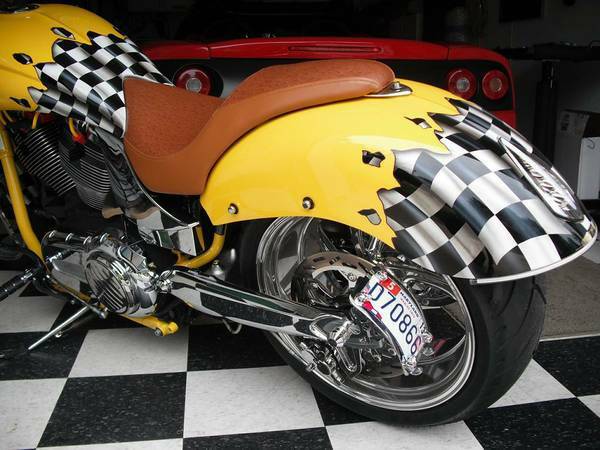 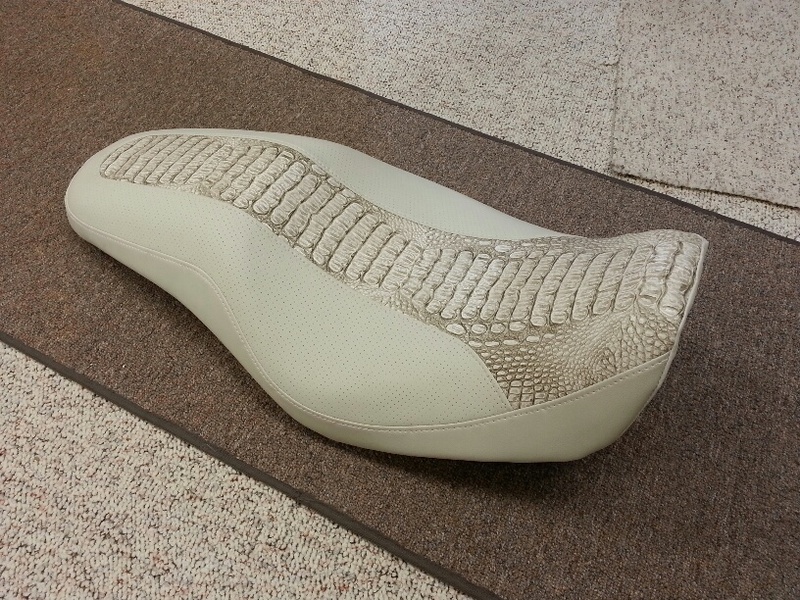 Custom Motorcycle Seat. Black Ostrich Vinyl and Red Snakeskin Vinyl. 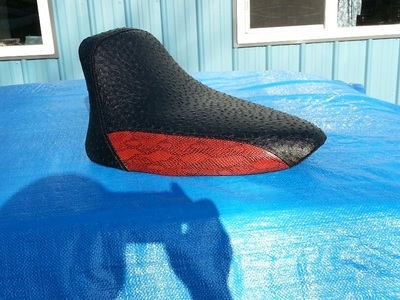 Custom Motorcycle Seat in Black Ostrich Vinyl and Red Snakeskin Vinyl. 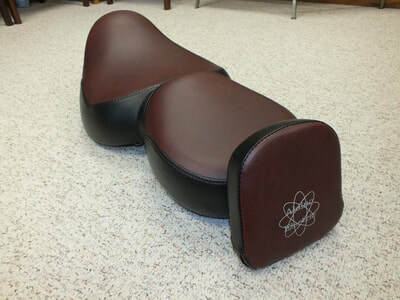 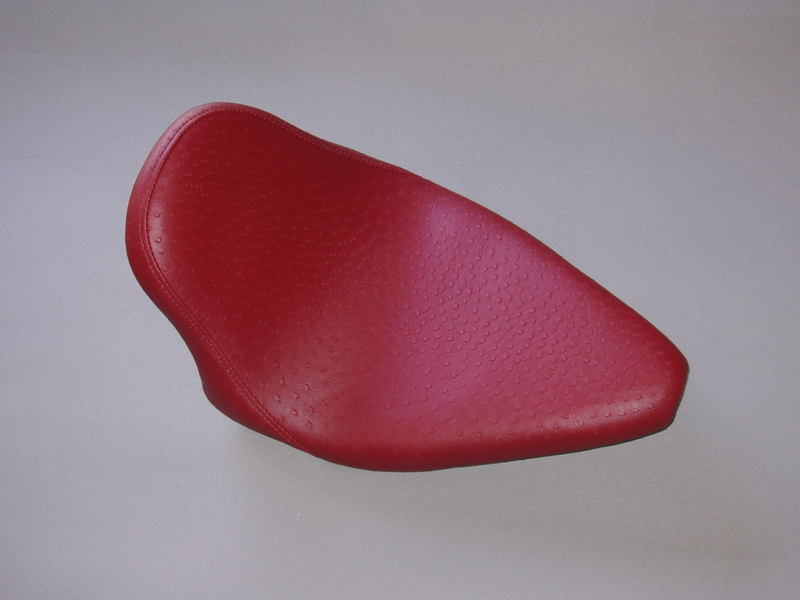 Custom Motorcycle Seat in Maroon Vinyl. 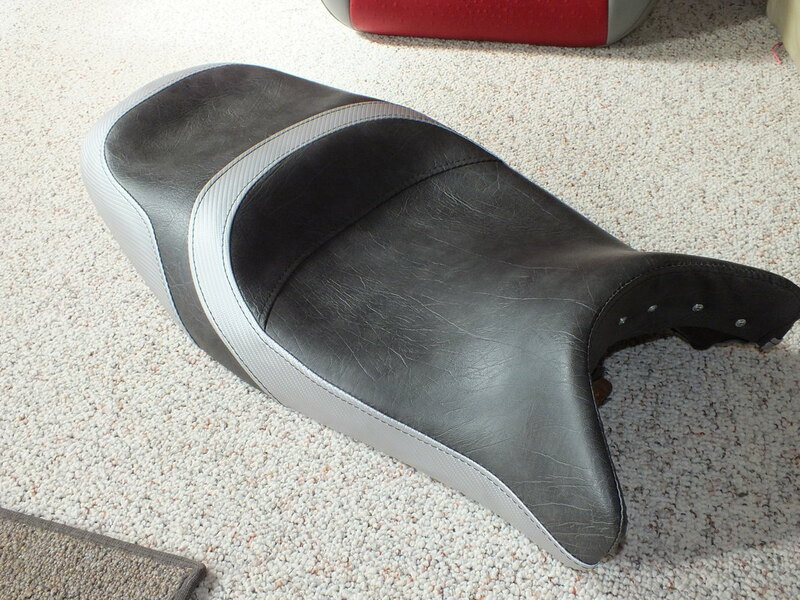 Custom Motorcycle Seat. 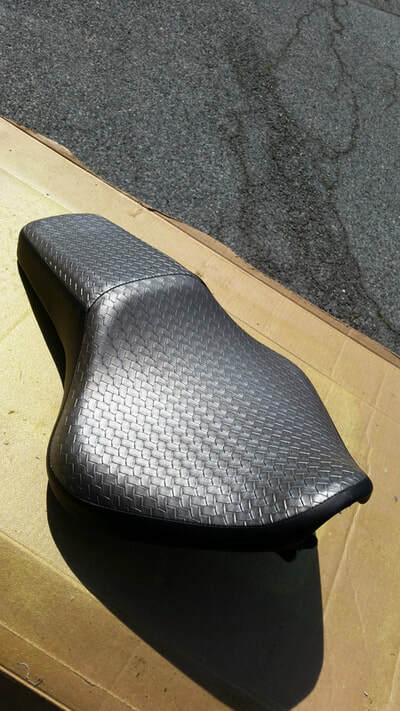 Grey Woven Pattern Vinyl. 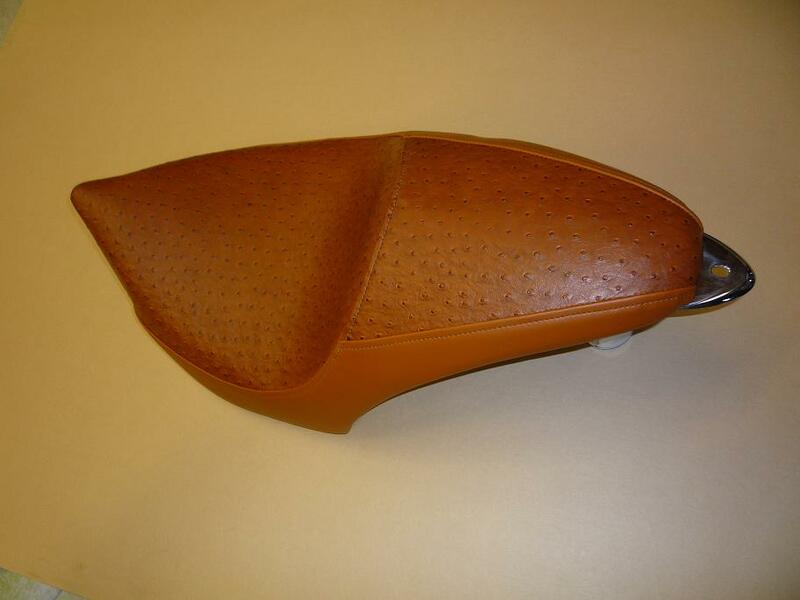 Custom Victory Seat in Caramel Ostrich Vinyl and Caramel Standard Vinyl. Victory Custom Seat. 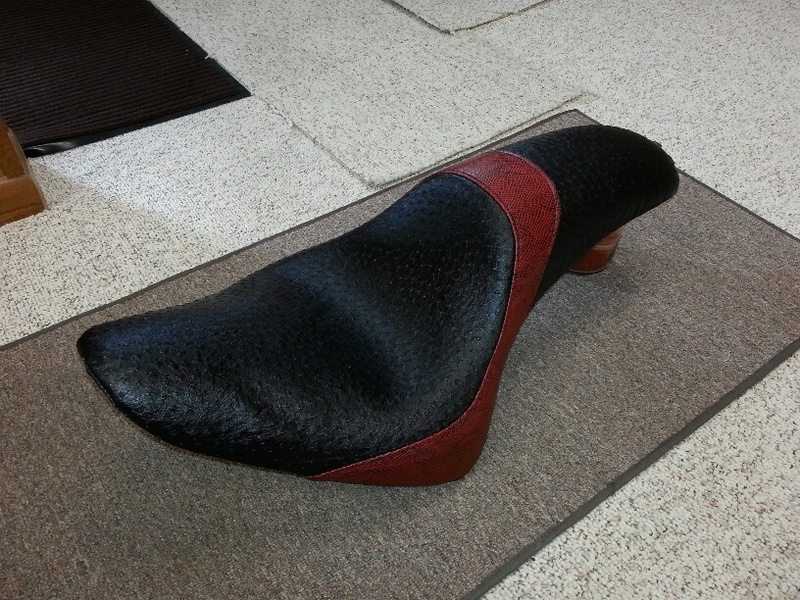 Brown Vinyl and Ostrich. 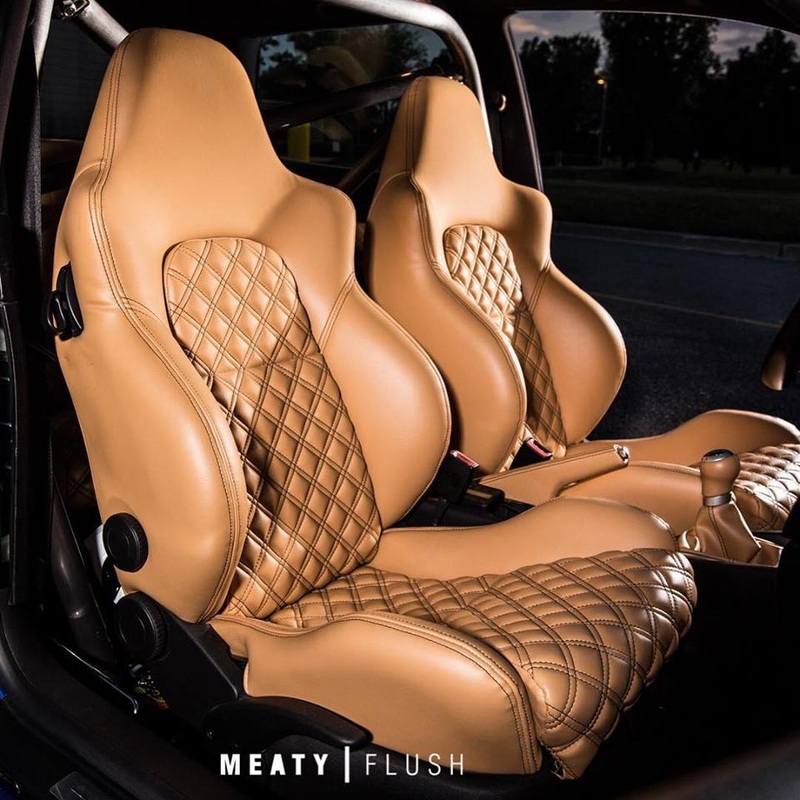 RWB Porsche from Philly. 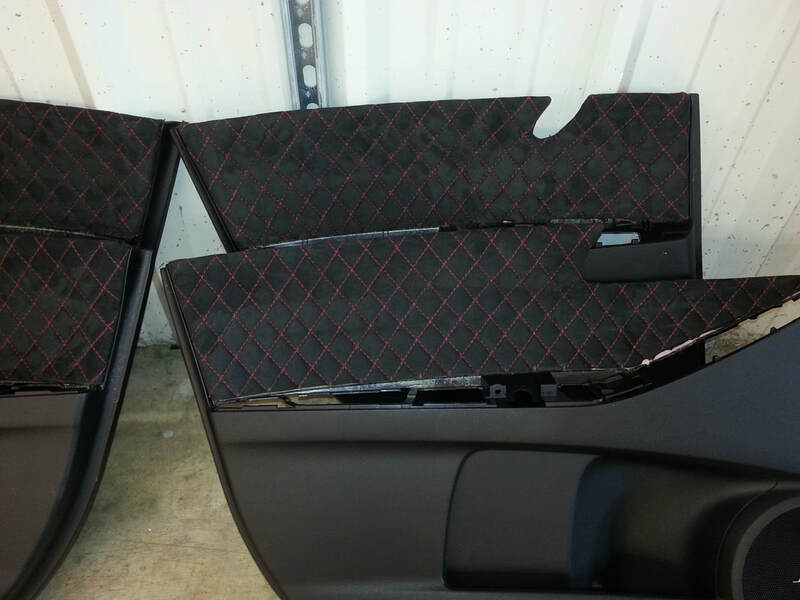 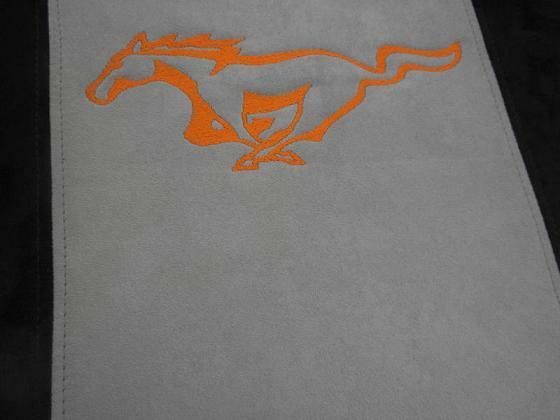 Custom Wrapped Complete Door Panels. 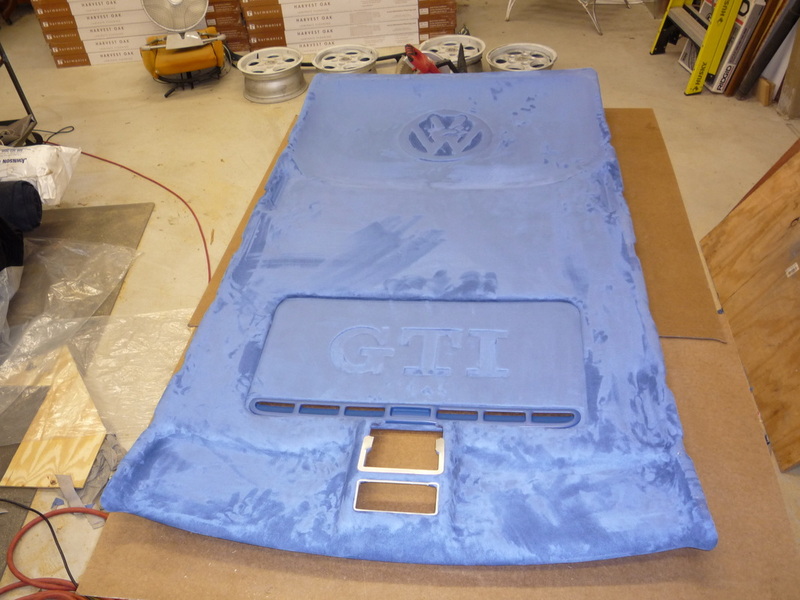 VW MK3 GTI Blue Suede Headliner with 3D VW Logo and GTI in Slider. 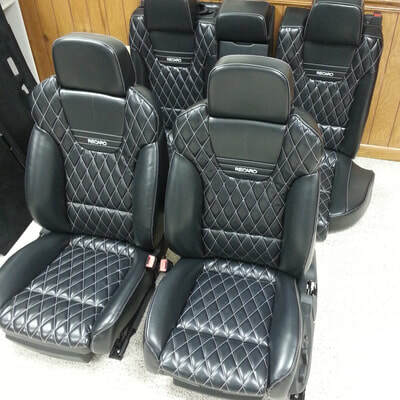 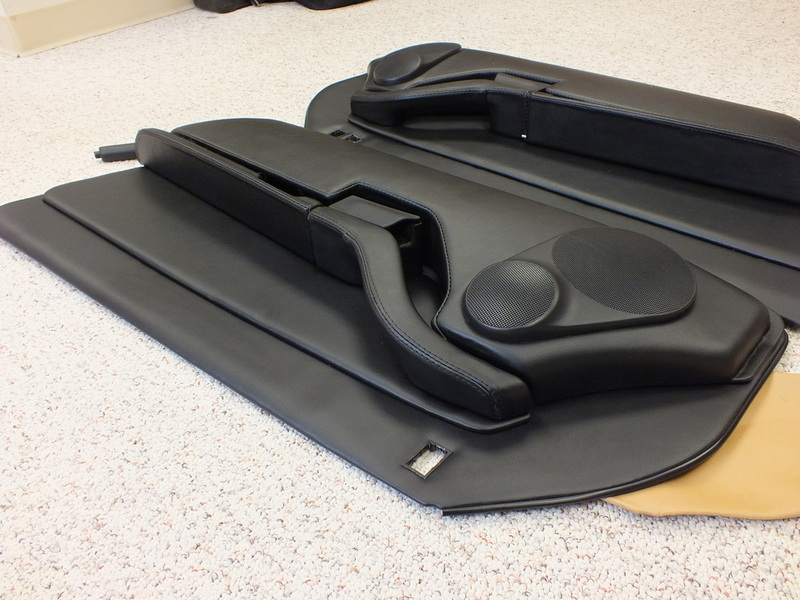 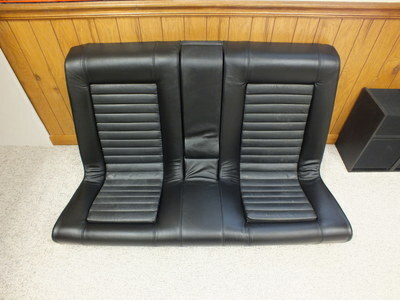 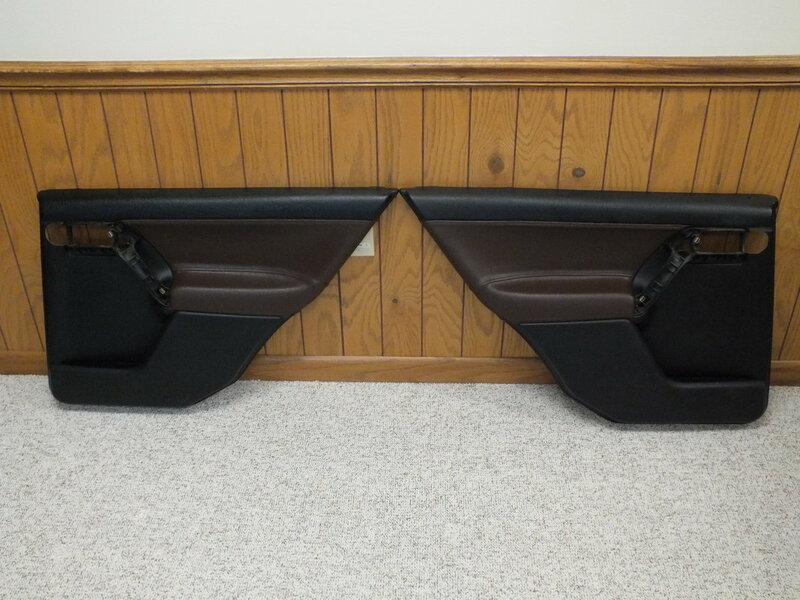 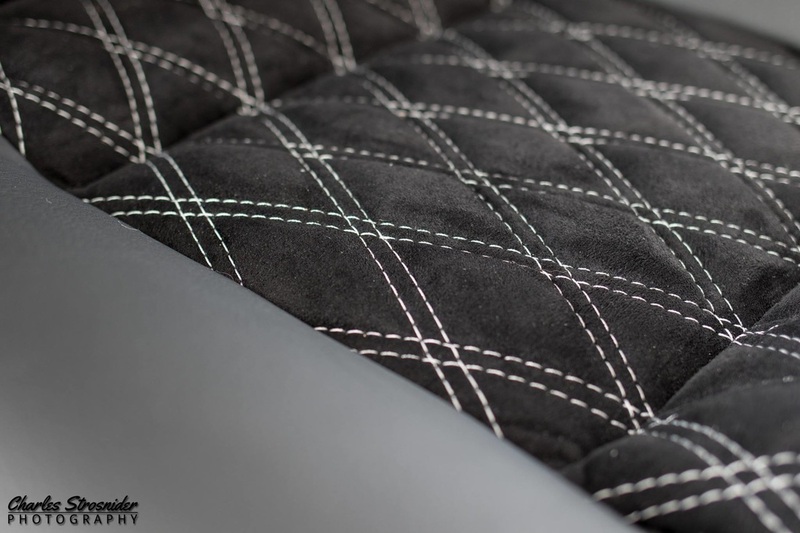 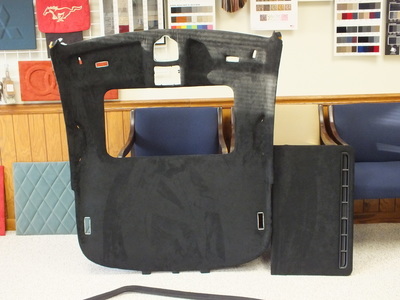 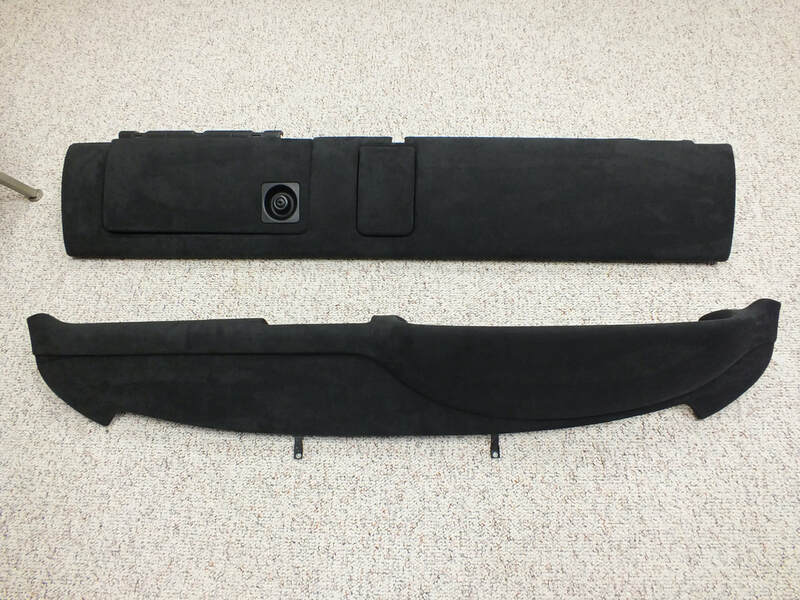 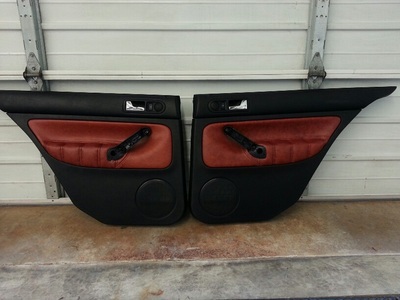 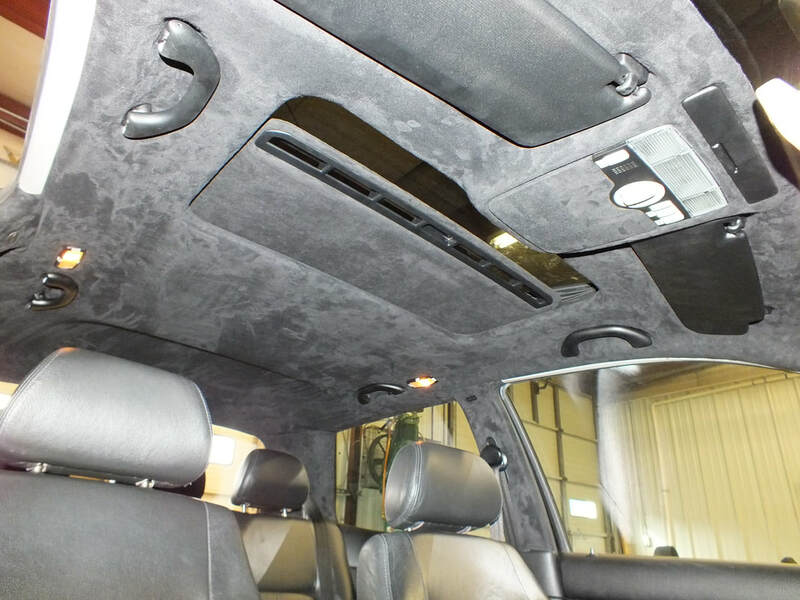 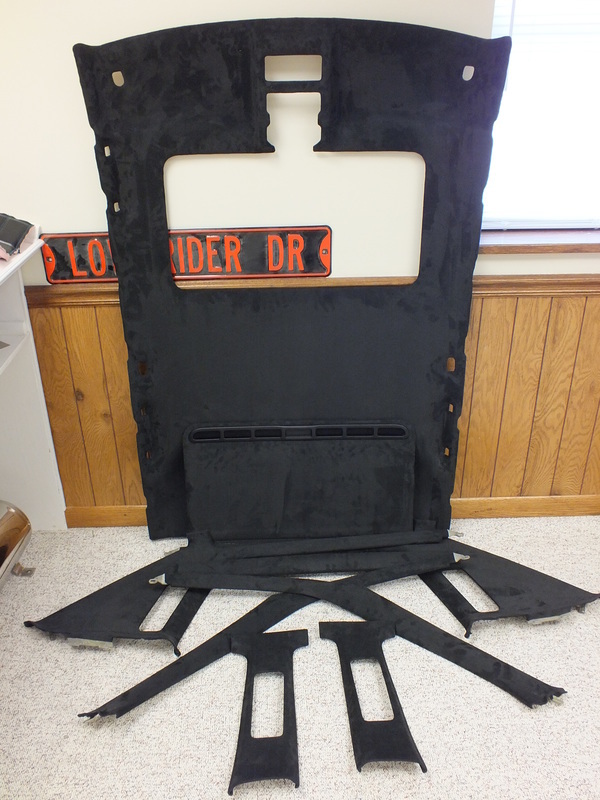 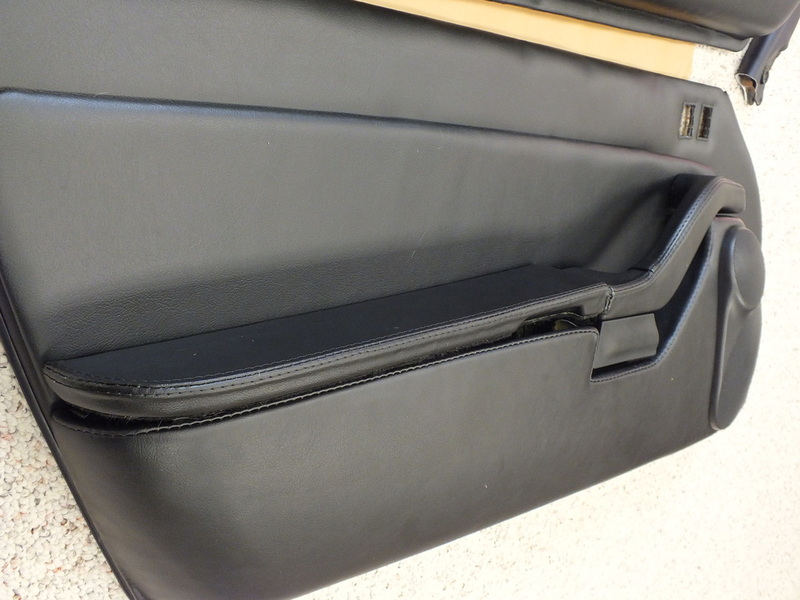 R32 VW Headliner, Slider, and Pillars in Black Suede. VW MK4 Headliner Black Suede. 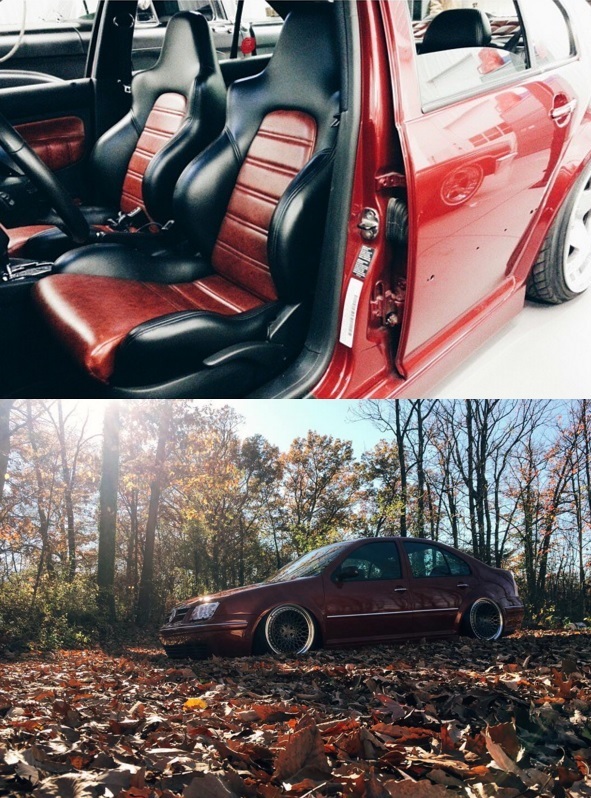 OEM+ Look! 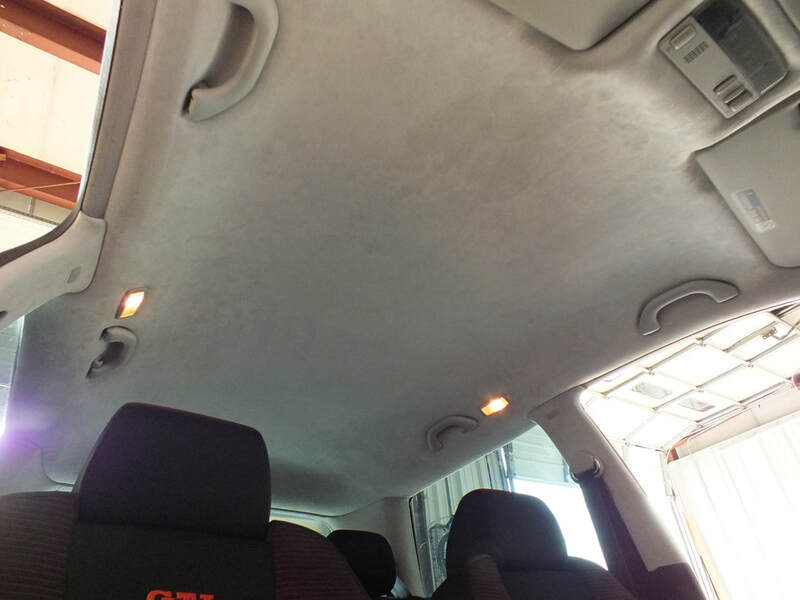 VW MK4 Silver Suede headliner. 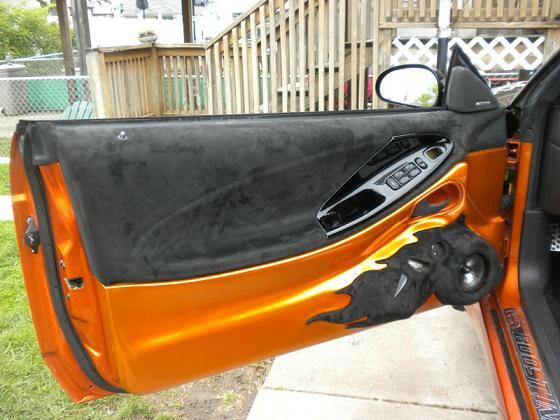 Give the OEM+ Look!! 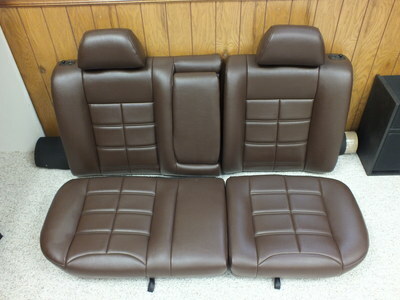 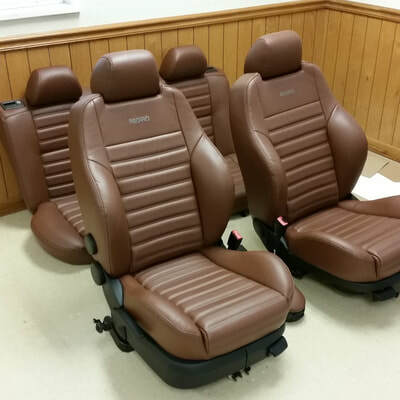 VW MK3 Euro Rear Seats In Chocolate Brown Vinyl.